Many know of Shambhala, the Tibetan Buddhist legendary land of spiritual bliss popularized by the film, Shangri-La. 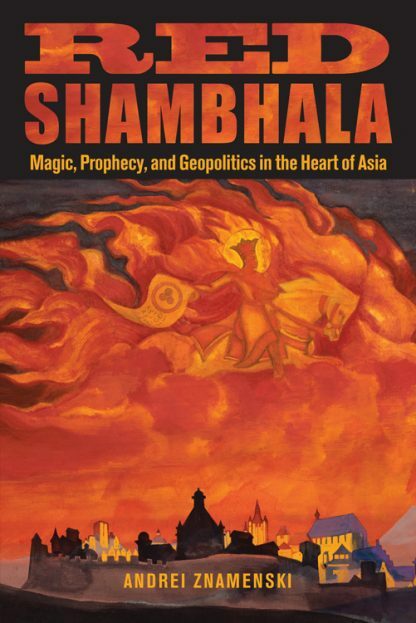 But few may know of the role Shambhala played in Russian geopolitics in the early twentieth century. Perhaps the only one on the subject, Andrei Znamenski�s book presents a wholly different glimpse of early Soviet history both erudite and fascinating. Using archival sources and memoirs, he explores how spiritual adventurers, revolutionaries, and nationalists West and East exploited Shambhala to promote their fanatical schemes, focusing on the Bolshevik attempt to use Mongol-Tibetan prophecies to railroad Communism into inner Asia. We meet such characters as Gleb Bokii, the Bolshevik secret police commissar who tried to use Buddhist techniques to conjure the ideal human; and Nicholas Roerich, the Russian painter who, driven by his otherworldly Master and blackmailed by the Bolshevik secret police, posed as a reincarnation of the Dalai Lama to unleash religious war in Tibet. We also learn of clandestine activities of the Bolsheviks from the Mongol-Tibetan Section of the Communist International who took over Mongolia and then, dressed as lama pilgrims, tried to set Tibet ablaze; and of their opponent, Ja-Lama, an �avenging lama� fond of spilling blood during his tantra rituals. 'Andrei Znamenski studied history and anthropology both in Russia and the United States. Formerly a resident scholar at the Library of Congress, then a foreign visiting professor at Hokkaido University, Japan, he has taught at The University of Memphis and Alabama State University. His fields of interests include religions of indigenous people of Siberia and North America, shamanism, and esotericism. Znamenski is the author of Shamanism and Christianity (1999), Through Orthodox Eyes (2003), Shamanism in Siberia (2003), The Beauty of the Primitive: Shamanism and Western Imagination (2007), and the editor of the three-volume anthology Shamanism: Critical Concepts (2004).